Summer Fund Drive – Donate Now, Win a Book! Please contribute to Streetsblog SF! Streetsblog is a nonprofit organization, supported by donors, advertisers, and grants. Our articles are brought to you by people like you – readers. We need ongoing support to keep publishing. If you read Streetsblog, we hope you’ll contribute. For the next ten days, Streetsblog is hosting our 2018 Summer Fund Drive. If you donate $25 or more between now and Friday, June 15, you help Streetsblog and you’ll be entered in a raffle to win one of the two books described below. Signed by Donald Shoup! Preview the book here. Donald Shoup is the world’s foremost authority on parking – often called a parking rock star. Shoup is an expert on the ways that wrongheaded parking policies shape cities, making them inhospitable to pedestrians, cyclists, transit-riders, and even drivers. Streetsblog interviewed Shoup in 2015 – read part 1 and part 2. 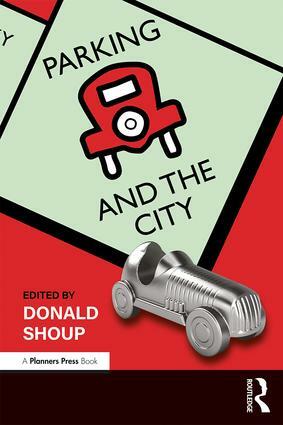 Parking and the City follows on Shoup’s influential book The High Cost of Free Parking, with extensive reports on successful on-the-ground progress that cities are making to reform parking, and thereby improve the quality of life, the environment, and the urban fabric. Shoup has long recommended three key parking reforms: (1) remove off-street parking requirements, (2) charge the right price for on-street parking, and (3) spend parking meter revenue to improve metered streets. Parking and the City tells how these reforms have played out around the world. Reading Shoup will change the way you see the city. 2016 – Routledge – wide-format paperback. Preview the book here. Nicole Foletta has worked in the field of transportation planning for over ten years, with experience in both Europe and the United States. She is currently a Principal Planner with BART. Jason Henderson is a Geography Professor at San Francisco State University, USA (read his interview in Streetsblog). His research and teaching include transportation and land use, with an emphasis on how culture and politics shape urban transportation policy. His book Street Fight: The Politics of Mobility in San Francisco (University of Massachusetts Press 2013) (reviewed by Streetsblog here) examines debates over freeway removal, parking, bicycle politics, and transit finance. Low Car(bon) Communities (reviewed by Streetsblog here) examines seven case studies in Europe and the United States from cities that aim to reduce dependency on cars. Innovative and inspirational, these communities provide a rich array of data and metrics for comparison and analysis. This book considers these low car(bon) communities’ potential for transferability to cities around the world, including North America. Aimed at practicing city planners, sustainable transportation advocates, and students in planning, geography, and environmental studies, this book will be an invaluable benchmark for gauging the success of sustainable urban futures. What are you waiting for? Streetsblog needs you. Donate today! Donate by 11 p.m. on Friday, June 15, to be entered into a drawing to win one of these great books. The raffle will be held Monday, June 18. Winners will be contacted via email. Books will be mailed or dropped off the week of June 18. Could Showing Merchants the Money Make Parking Meter Trials Palatable?